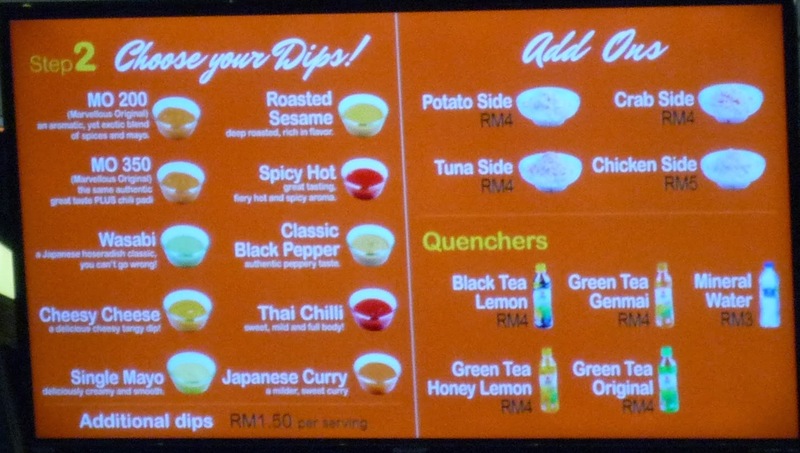 I saw this new food booth at the top floor of the MidValley mall and so walked closer for a look. Egg sticks! The price is expensive - from MYR5 to MYR8 for just one egg stick. I remember reading a post on kuchingnite blogspot about cooking eggs into a stick with Eggmaster. So now these egg sticks are being sold commercially. They claim that their dips will win you over. Please click on both the above menu photos for a larger photo. 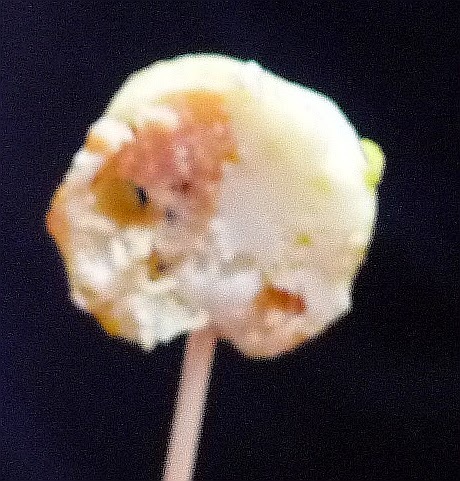 They cut up one egg stick into many pieces and gave them out for customers to sample their food. I took one - salmon black pepper with egg. The taste is nice as I like both salmon and egg but I find it too expensive. Perhaps it is better for me to buy an Eggmaster to cook these egg sticks myself at home just like what Rose did. Oh yes, I remember Rose's post about the Eggmaster or Eggcooker, something like that.. Can be used to cook sausages wrapped in eggs in a lollipop shape..
Somebody blogged about this but I can't remember who now. Egg, I LIKE!!! Will you pay MYR5 for a stick like that? Well, a stick of scallops from Scallop Q is about the same price isn't it? I agree with you, too expensive. I won't be rushing to try both of these anyway. I think I would stick to ais krim potong as snacks of this size..
That scallop Q has mini sized scallops. I have seen them but also think not worth paying that price for mini scallops. Oh my, that's the first time I've ever heard of an egg stick! 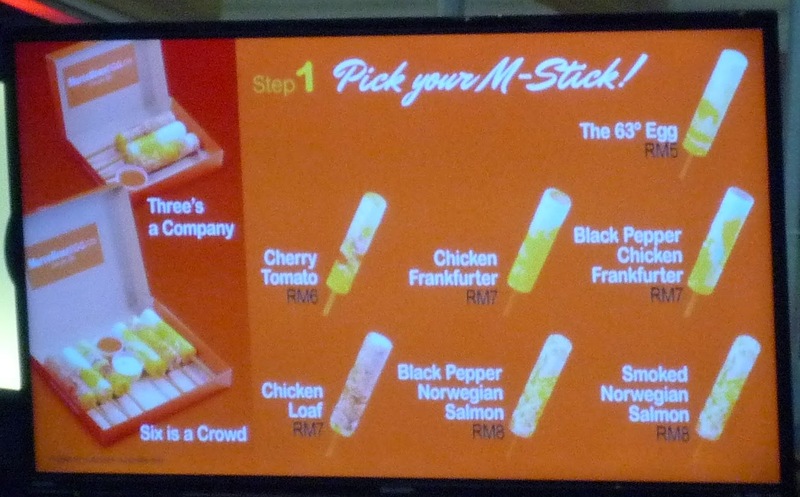 RM 5-8 per stick is definitely pretty pricey, but I wonder what's the rental like for that spot tho. The rental must be really expensive! Now you reminded me! I only did the egg sticks few times and now it is kept in my shelves. Lol. I think they use more than 1 egg because they did not put one whole sausage inside. I think this is a full meal not a snack. You and I could afford this price but we are talking about whether it's for money's worth. I am so tempted to try! If you feel like trying, do go for it! Not sure what eggs they use. I haven't seen this in Ipoh. I agree the price is expensive. I've had it before too! I think the price is a little too high, otherwise it tastes good. Yes it tastes good. 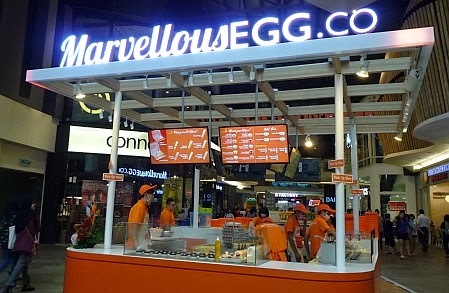 Did you eat it at this very booth? Yeah, I had it at MV too! I used to go to Swenson opposite MV for hair treatments a long time ago. It's for a post, but I actually do have male pattern baldness (hereditary from my dad). It wasn't open then though, but I still go to MV more often than most other malls (except maybe Publika). You are an early bird because they just opened for business just this month I believe.